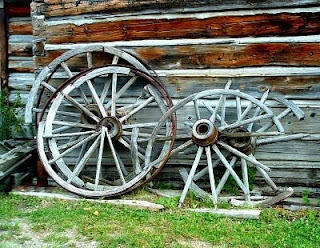 There are many interesting facts about the Old West. Many have eluded history books for one reason or another. Many facts simply weren't sensational enough for Hollywood to pick up and include in a script or two. And some, well some of them -- no one talks about. First thing one should know is that not all of the Old West was a hotbed of gunfights and murders. In fact, in the year 1880, the wide-open mining and cow towns of Virginia City, Nevada, Leadville, Colorado, and Dallas, Texas, had no homicides at all. That's right, none for the entire year. In Abilene, Ellsworth, Wichita, Dodge City, and Caldwell, Kansas, for the years from 1870 to 1885, a 15 year span, there were only a total of only 45 total homicides combined. This means that that equates to a rate of approximately 1 murder per 100,000 residents per year. And by the way, 16 of those 45 homicides were committed by duly authorized Peace Officers. And another thing, other than only two towns, Ellsworth in 1873 and Dodge City in 1876, none of the other cow towns ever had as many as five killings in any one year period. Can you imagine how peaceful things would be today if we had such a low homicide rate? We'd almost have no need for the police. In the summer of 2012, Detroit had a string of homicides that left 20 people dead in 10 days. They, like Chicago and Los Angeles, have hundreds of homicides each year. Places like Detroit, Michigan, Oakland and Stockton, California, and of course Chicago, Illionois which has a higher murder death rate by gunshots than the war zone in Afghanistan, would all love to say that they compared to Dodge City in 1876 - but they don't by a long shot. No pun intended. I've read where Abilene, Kansas, supposedly one of the wildest of the cow towns, did not have a single person killed in 1869 and 1870. Abilene Town Marshal Tom "Bear River" Smith was killed on November 2, 1870, but he was killed 12 miles out of town. An interesting fact of the Old West is how town Marshal Tom "Bear River" Smith died. It wasn't in a gunfight out in the middle of the town at High Noon on Main street. It was on November 2nd, 1870, Thomas James "Bear River" Smith was cruelly executed by two farmers, Andrew McConnell and Moses Miles, in the countryside 12 miles outside Abilene. While trying to arrest McConnell, who was the larger of the pair and who had recently murdered a neighbor, the brave Smith suffered a severe gunshot wound. But that did not kill him, in fact during the ensuing scuffle with the two, Tom Smith was viciously slashed by an axe blow administered by Miles as the lawman futilely struggled. So really, he was killed by an axe. Another interesting fact of the Old West is that Tom "Bear River" Smith was the personal hero to one famous man from Abilene. He was in fact the hero of President Dwight David Eisenhower. Supposedly President Eisenhower was not impress by Wild Bill Hickok who became Town Marshal of Abilene later. Shows Ike knew about Hickok at an early age. A couple of interesting facts about James Butler "Wild Bill" Hickok is that before being written about and subsequently being made famous in Dime Novels, he was known as "Duck Bill" because of his huge nose. And it's true that Buffalo Bill Cody fired Hickok from their stage act, because "Hickok had a voice like a girl"- that's per Cody. The picture above was supposedly taken in Leadville, Colorado, in 1879. Left is said to be Joseph “White Eye” Anderson, who accompanied Wild Bill Hickok to Deadwood in 1876, and his friend E. B. “Yankee” Judd on the right. Judd is packing a First Model Army Merwin Hulbert revolver in his holster. His rifle appears to be a Sharps Borchardt 1878 rifle. First discovered in the 1860s, the Kennedy Mine, a gold mine located in Jackson, California, served as one of the richest gold mines in the entire world. In 1898, the Kennedy Mine's East Shaft reached a vertical depth of 5,912 feet, the deepest vertical depth gold mine in North America at the time. And at the time of its closing in 1942, the mine had produced some $34.3 million (according to the California Department of Conservation) when gold was valued at $20.67 and $35 per ounce. Imagine what those numbers would be today at today's gold price of $1,705.00 per once. First discovered in 1876, the Homestake Mine, a gold mine located in Lead, South Dakota was in fact the largest and deepest gold mine in North America when it closed in 2002. Yes, it's true that sometimes Cowboys referred to beans as "Deceitful Beans" - because "they talked behind your back." The Navajo, our Nation's largest Native American Group, have a reservation that covers 14 Million Acres. The Navajo Nation is a semi-autonomous Native American-governed territory covering 27,425 square miles, occupying all of northeastern Arizona, the southeastern portion of Utah, and northwestern New Mexico. It is the largest land area assigned primarily to a Native American jurisdiction within the United States. That, my friends, is no small piece of ground! That's bigger than 10 states. In fact, that's bigger than New Jersey, Hawaii, Connecticut, Delaware, and Rhode Island combined. Some folks think it was the California Gold Rush of 1849 that was the first gold strike in the Old West, and they'd be wrong for thinking so. Fact is, the first gold strike in the Old West was made by Jose Ortiz in 1832 just south of Santa Fe, New Mexico, in what would quickly become the boom town of Delores. Since Henry the Kid would have sound like a wimp, Henry McCarty took to being called Billy the Kid. Fact is that Henry was born in New York City on September 17, 1859. And as for those 21 men he supposedly killed, well fact is it was more like 4. And where is the Oldest U.S. Military Post in the United States that has been in continuous operation West of the Mississippi? Well, established in 1827, Fort Leavenworth, Kansas is the oldest military post in continuous operation west of the Mississippi. The oldest human skeleton ever found in the Western Hemisphere was discovered in 1953 near Midland, Texas. It was first believed that the skeleton, the remains of a 30-year-old woman, was 10,000 years old. However, the latest estimates are that she is much older. Just show how some women can hold their age better than others. We can thank Dodge City for many things such as the hub for the famous cattle drives. We can also thank Dodge City, Kansas for the term "red light district." It came from the Red Light Bordello in Dodge City. The front door of the building was made of red glass and produced a red glow to the outside world when lit at night. The name carried over to refer to the town's brothel district. The Outlaw Clay Allison was described in a physician’s report as being "maniacal with a personality where emotional or physical excitement produces paroxysmal of a mixed character." Estimates of how many people may have lived in North America before the arrival of the European explorers vary from 8.4 million to 112 million. This population was divided into about 240 tribal groupings speaking an estimated 300 different languages. No, most could not communicate with each other. Starvation may have wiped out millions before the Europeans arrived. Another fact about the Indian tribes in the United States is that they waged cruel and inhumane war upon each other long before the Europeans ever arrived. Their wars were waged for territory, but also for simple rivalry. In most cases, their goal was to exterminate the other tribe. An interesting fact is what was done to all of the Buffalo bones that were strewn across the Great Plains after the mass buffalo hunts of the 1870s and 1880s? Fact is that they were bought by Eastern firms for the production of fertilizer and bone china. "Bone pickers" earned eight dollars a ton for the bones. The Great Plains were picked clean. Trivia about Texas? Well around 1541, the present state of Texas was called "Tejas" which is a Spanish version of the word "Caddo" which means "Allies." Wyatt Earp trivia is always fun. Most only know the story of Wyatt Earp from Hollywood. Fact is that he was indicted for stealing a horse in Van Buren, Arkansas on May 8, 1871. He escaped trial by escaping from jail and fleeing to Kansas. Many don't know that Wyatt and Morgan were also arrested many times for being pimps in Illinois. There is proof that Wyatt was never a Buffalo Hunter at all. He may have drove a hide wagon, but it is probable that he never shot Buffalo. Wyatt Earp was neither the town marshal in Tombstone, Arizona nor the county sheriff at the time of the shoot-out at the O.K. Corral. His brother Virgil was in fact the town marshal, Morgan was his deputy. Virgil had temporarily deputized Wyatt and Doc Holiday prior to the gunfight. By trade, Wyatt was a bartender and Faro dealer at the time of the shootout. As for Wyatt and Doc wearing guns in a town that forbid the wearing of guns? Unlike the cowboy faction, Wyatt and gambler Doc received special treatment and were allowed to carry when others weren't. More interesting facts have to do with where some traditions start. For example the tradition of spreading saw dust on the floors of bars and saloons is believed to have started in Deadwood, South Dakota due to the amount of gold dust that would fall on the floor. The saw dust was used to hide the fallen gold dust and was swept up at the end of the night. Yes, folks are always creating ways to get all they can -- one way or another. And by the way, let's talk about Deadwood, South Dakota. The discovery of gold in the Black Hills in 1874 set off one of the last great gold rushes in the country. In 1876, miners moved into the northern Black Hills. 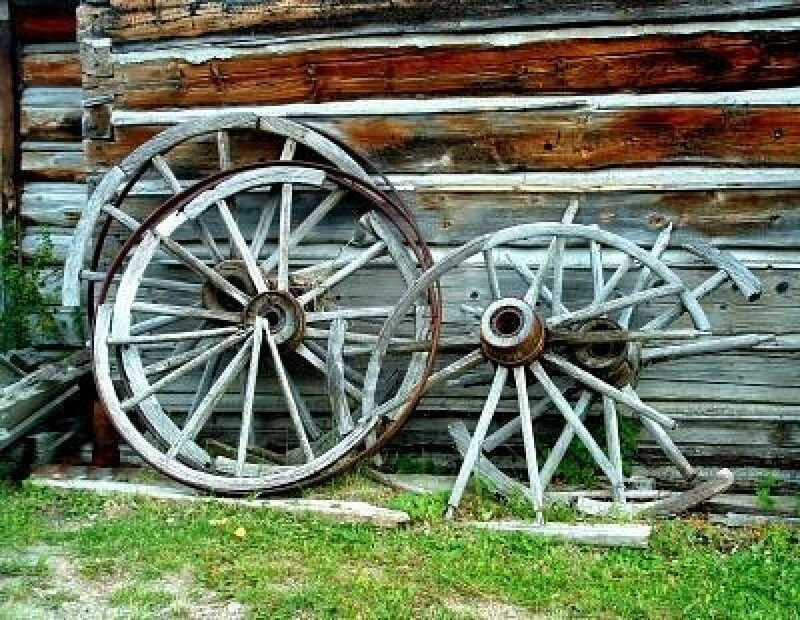 That’s where they came across a gulch full of dead trees and a creek full of gold, Deadwood was born. The longest Morse code telegram ever sent was sent from Nevada. It was the Nevada State Constitution. Sent from Carson City to Washington D.C. in 1864. The transmission must have taken several hours. Here's an interesting fact about famous outlaw Cole Younger. After serving more than twenty years in prison, Cole Younger got a job selling tombstones, worked for a while in a Wild West show with Frank James, and he died quietly in 1916 in Lee’s Summit, Missouri where he was known as an elderly churchgoer. Imagine that! An interesting fact about the famous Oregon Trail, which extents from Independence, Missouri to Fort Vancouver, Washington, is that it measured 2,020 miles. And amazingly, of an estimated 350,000 emigrants took the Oregon Trail, 1 out of every 17 pioneers did not survive the trip. The most common cause of death was cholera. Hollywood made him more famous in death than he was in life. Fact is that Harry Longabaugh became known as "the Sundance Kid” because he served a jail term for horse stealing in Sundance, Wyoming. Here's a interesting story! Mike Fink was a keel boatman along the Ohio and Mississippi Rivers. He was also an expert marksman. He loved to drink and was a known brawler. Davy Crockett is supposed to have described him as "half horse and half alligator." One of Fink's favorite games was to shoot a mug of brew from the top of some fellow's head. However, on one night in 1823, he had drank so much that it didn't matter how good were his shooting skills. He missed and killed the guy who was wearing the mug on his head. In no time, the dead man's friends retaliated by killing Fink. For whatever reasons, back in the 1800s, Mike Fink's legend was being told for decades along with the likes of Paul Bunyan and Pecos Bill. Imagine that! Another strange fact has to do with the state of Nevada, Camels were used as pack animals in Nevada as late as 1870. The Palace of Governors in Santa Fe, New Mexico, was built in 1610 which makes it one of the oldest public buildings in all of America. Texas was the most active gunfighting state in the Old West with some 160 shoot-outs for a 50 year period from the 1850's through the 1890's. Back in the 1800s, it took the entire state of Texas over 40 years to record what Oakland, California, does all by itself in a few months these days. As for Chicago, 160 shoot-outs sounds like what takes place on any given weekend between the gangs there today. Imagine that! During the Old West, a Gunman was also known as a "Leather Slapper," a "Gun Fanner," a "Gun Trapper," "Bad Medicine," a "Curly Wolf," and a "Shootist" among other things. The telephone was invented in 1876. The first community to have a telephone after the White House telephone was the ones installed in Deadwood, South Dakota. Cowboys driving cattle to the market could expect to make between $25 and $40 per month. A Trail Boss might make as much as $125 per month. That of course is with a bonus. The Colt Peacemaker was manufactured in 1873 by Colt’s Fire Arms Manufacturing Company in Hartford, Connecticut. At the time it sold for $17.00. Contrary to popular believe, many people did not carry the "expensive" Colt Peacemaker. In a time when the average laborer salary was about $30 a month, a $17.00 pistol was just not practical to buy and own. Also, most working cowboys carried rifles. Unlike a pistol which was not really designed for anything other than killing men, a great saddle gun could stave off Indians, take care of rustler, be used for hunting, putting down a lame horse, and other such uses. Samuel Clemens was struck by silver fever and tried his hand at prospecting in the town of Unionville, Nevada, in 1862. Having more luck in trading mining claims than actually producing silver, he wound up leaving the area. A short time later Clemens, changed his name to Mark Twain and became one of the greatest writers of American Literature. And yes, he got his start right here in Calaveras County. On December 21, 1876, outlaw Clay Allison shot and killed Deputy Sheriff Charles Faber at the Olympic Dance Hall in Las Animas, Colorado. If it weren’t for the fact that Clay Allison was purposely stomping on the feet of other dancers, the law probably would never have been called. Heroin was used by the Bayer company as a cough suppressant and "antidiarrhoeal" medicine. It was administered along with counseling for its consumers. It was first created in 1874 by H.C. Alder Wright. Today, the nation of Afghanistan produces 95% of the world's heroin. The infamous Dalton Gang only operated for one year and five months, beginning with a train robbery in Wharton, Oklahoma on May 9, 1891 and ending at the shootout at Coffeyville, Kansas on October 5, 1892. So no, Outlaw gangs contrary to Hollywood did not have longevity. An interesting fact about the Old West is that during Stage Robberies women would not be robbed. Actually in most cases the passengers would not be bothered. It was the cash box that the robbers were after. If you think about it, it makes sense, the strong-box on a stage may be carrying thousands in gold - why bother with the passengers when there were obviously bigger riches to be had. More about the O.K. Corral? Well, the famous gunfight at the O.K. Corral did not take place at the O.K. Corral. When the Earps and the Clantons and McLaury's shot it out in Tombstone, Arizona in 1881, their famous battle took place in a narrow vacant lot between Fly’s Photograph Gallery and the Harwood house on Fremont Street. It was a little bigger than an ally. Since the shootout took place 4 years before the introduction of Smokeless Powder in 1885, and all there shot-it-out using Black-powder cartridges, that ally must have resembled a London Fog! The O.K. Corral was located nearby. 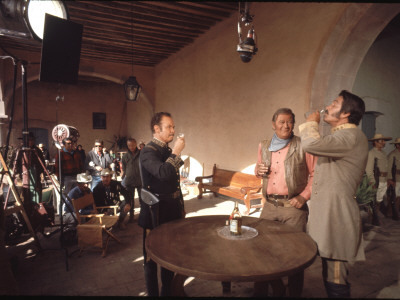 The movies attached the OK Corral to the to the now famous shootout. Why do I say "now famous?" Well, that's because at the time, hardly anyone other than locals heard of it. It simply wasn't a big deal. 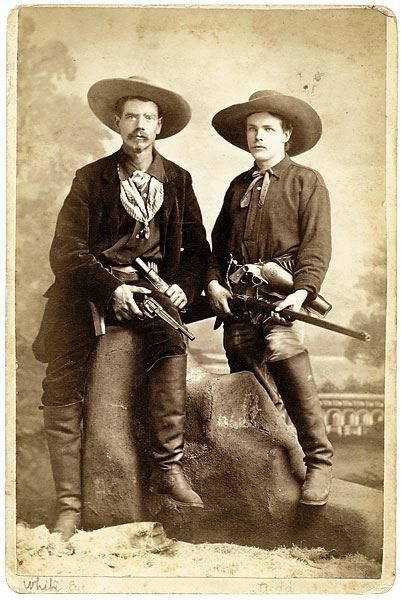 Fact is, there were much bigger gunfights that took place in the West during that time. The O.K. Corral really became "known" and then famous when Wyatt Earp tried selling his fictionalized life story to Hollywood in the 1920s. His life story was published a year or two after he died and that's when the gunfight became "famous". Prior to his death, Wyatt Earp was known nationally as being part of those responsible for fixing a prizefight. Yes, as the referee of the Heavyweight Championship Boxing Match, Wyatt Earp is known to have "fixed" the Tom Sharkey and Bob Fitzsimmons fight on December 2nd, 1896. As another piece of Wyatt Earp trivia, before he died he was selling Real Estate in Orange County California, and was arrested for running a con-game to steal thousands from an unsuspecting victim. And lastly for part one of interesting facts of the Old West, though the term "Stick 'Em Up" is widely used in Western films - no friends, it wasn't actually coined in the Old West. A highwayman or robber would call out, "Stand and Deliver" when stopping a stage. Like the fast draw in the middle of main street and the low slung holster, the term "Stick 'Em Up" was started in Hollywood in the late 1920's. It's just make-believe Hollywood. Just like dancing with wolves and six-shooters that don't need reloading, a lot of what we think went on in the Old West is all Hollywood! Just lies. it nice to really know how it all went down in the old west.but i still like the stick em up better.